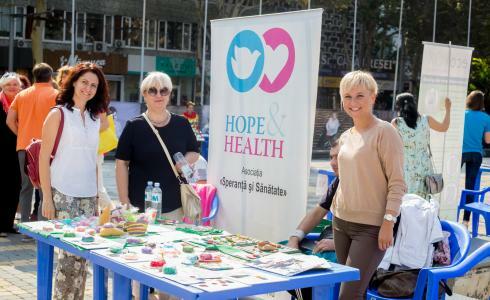 September 15, 2018 - we participated at the "dizABILITY Social Economic FEST ed. I" - a unique event aimed at promoting the skills and talents of people with disabilities, as well as exploiting the economic, social and political potential of these people for the well-being of the country. We presented the hand made souvenirs by our beneficiaries and promoted our new activity - the production of personalized natural soap. The event was organized by the Association of Disabled Entrepreneurs from the Republic of Moldova - "European Skills without Limits" in partnership with the National Network of Women with Disabilities from Moldova with the support of the Swiss Cooperation Office in Moldova and the European Fund for Southeast Europe in the Republic of Moldova !